Have you decided that working in your sweats is not all it’s cracked up to be? Does your home office feel isolating? Do you long for the social aspect of a traditional office environment? Working from home is a great solution for many people’s lifestyles. 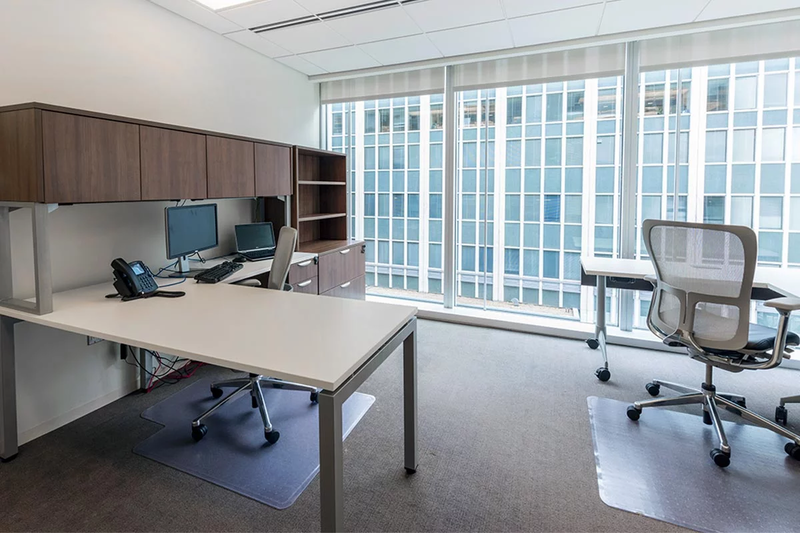 However, there are those who are blinded by the idea of eliminating a commute or the need for business clothes and jump into the home office life only to realize they miss or need the amenities of a traditional workspace. So, if you are looking to reintegrate your work-from-home life back into the office lifestyle, here are some tips on how to upgrade and have a smooth transition! The first step to upgrading from a home office is assessing what type of space you will need. You may want to keep the same level of space from home or decide that you’re ready to expand. Either way, you’ll want a workspace that provides a variety of options, from coworking to a private suite. In making the leap to a traditional office environment, you’ll want the insurance that as your business needs change, your workspace provider can accommodate you. One of the perks of a home office is flexibility in your workday. With a shared workspace, you can still retain these benefits. Choose a provider that offers private spaces with the benefits of full-on coworking. Having a private office within a larger shared environment allows for flexibility while figuring out what works best for you. Do you find yourself needing more conference room time? You can add it! Or is your private office feeling lonely and you would like to try coworking? No problem! Just make sure you space is able to adapt to your needs. The typical moving hassles entail renovating spaces, buying furniture, setting up utilities and more. However, with a turnkey space, you can kiss all of those hassles goodbye! Make sure your space streamlines the moving process by providing furniture and a space that has been painted and prepped for your arrival. Joining a shared workspace also means that things like utilities, WIFI, printers, and reception services are already provided. Just bring your laptop and you’ll be ready to work! An essential part of transitioning from home to office is your workspace community. Preparing for culture shock on re-entry to an office space is made easier by a supportive environment. When touring perspective spaces, get a sense of what the larger office culture is. Do clients seem to know each other? Are there client events? Do people chat in the lounge spaces? These are all important things to observe. When coming from a home office, you’ll want a supportive community where going to work feels more like a neighborhood than a traditional office where no one knows anyone’s name. Upgrading from a home office to a shared workspace is an easy process. At AdvantEdge Workspaces, we work alongside you to ensure the transition is smooth. Not one client is the same, and we take a flexible approach to each individual to make sure their workspace needs are met. To start you upgrade today, click here and come to see how you can go from home office to a modern and flexible shared workspace! Virtual Space: Cut Down on the Waste!